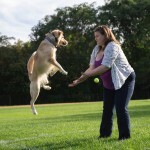 Raise Your Expectations & Watch Your Dog Soar Up to Them! If you want more from your dog, expect more from your dog! It really is just that simple. A lot of folks ask why they can’t rely on their pup for certain behaviors or in and around certain situations. It is all about standards. The dogs know exactly whats expected of them day in and day out, so we barely have to ask for anything from them after a while. It’s hard work in the beginning, and it may seem like a lot for some folks, but the hard work does pay off in the end. So just keep holding your dog to that higher standard every day! Watch your dog soar in as little as even two weeks! Be careful what you expose them too…monitor how much freedom and adrenaline levels you are letting them experience for free, and match that with how much structure you are or are not giving them as well. It’s all about a happy balance, so if you ask a lot from your dog then give a lot. If you ask less from your dog, give less. Can you walk your dog in public safely? Scarlet (our pit-bull) came into our lives as a foster pup when she was 6 months old. We aren’t sure what happened to her during those first 6 months, but we suspect she was badly mistreated. Because of this, it takes a long time for a human to earn her trust. Once you are in her inner circle, however, she is the sweetest, most cuddly girl imaginable. When she was younger, her first inclination was to run away from any potential threat. As she grew older and became surer of herself, she decided that she would not back down from threatening situations. She also had a tendency towards resource guarding. As much as we loved Scarlet, she made life quite stressful for us. Any time friends or family wanted to visit, we would have to crate her or muzzle her because we simply could not trust her around people other than a select few. We tried other trainers with limited degrees of success. When we found Tiffany, Meaghen, and the rest of the K9 Kompanions team, they immediately took a vested interest in Scarlet’s well-being. 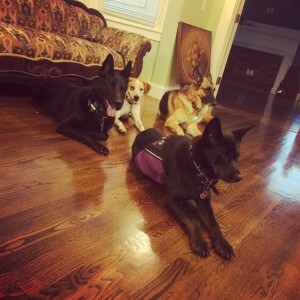 She stayed with them for a month and our other dog, Kenai, joined them for the last week of Scarlet’s stay. Needless to say, we missed her terribly while she was gone and were worried that she would be a lot of trouble for the crew at K9 Kompanions. Our worries were put to rest with daily updates complete with pictures and videos of her training. A month later Scarlet returned to us a much-improved girl and we were given the tools to continue the training she learned at K9 Kompanions. We work with her every day, and while some of the daily stresses still remain, we feel much more confident when it comes to Scarlet’s interactions with other humans and dogs. 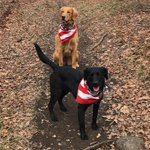 Months after our girls came home from their training, the team at K9 Kompanions still stays in touch, hoping to hear about all of Scarlet’s and Kenai’s successes (such as fun, off leash play time in parks and on hikes). Not only are the team of trainers masters of their craft, but they are kind, caring, and dedicated. We can not thank them enough for helping to make Scarlet a safer, more obedient dog. 1. His whining (which was frequent) is almost down to zero. If he whines, he responds immediately when we tell him to stop. He rarely stares at us for extra walks or extra food, and when he does, we redirect him. We feel like we are in control, not him. 2. He no longer freaks out every time someone walks by our house. He can be calm when other dogs, strollers, and trucks go past. 3. 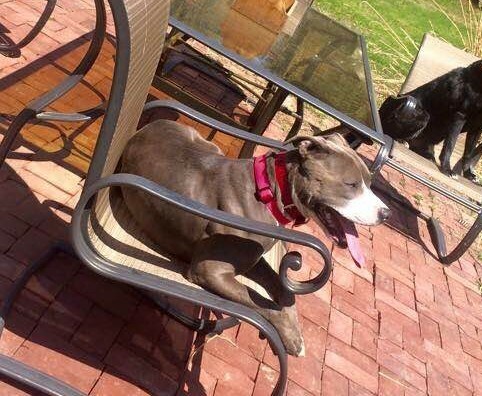 He can stay in place (on command) no matter what. If people come to the door, if we ask him to “place", he stays. He has even stayed calm when delivery people come to our house with packages, which terrified him before. 4. He lays down quietly in the back of the car! He used to whine INCESSANTLY, and we hated to take him anywhere. 5. His recall is PERFECT. He was always pretty good about coming when called, but now it is 100% reliable when he is off-leash, even when he’s playing with other dogs. 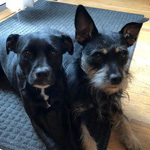 Tiffany and Meaghan are great at what they do because they are able to explain dog’s insecurity (which causes the naughty behavior) in a way that really makes sense. They are so responsive with questions - even after the official training ends. We recommend them highly! 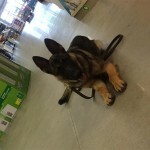 Lansky spent 10 days in K9 Kompanion’s board and train program working on his off leash obedience. During that time, we received daily updates, photos, and videos of Lansky’s new working time and play time. We appreciated and looked forward to those updates and being able to see how happy, well cared for he was and his training progression. Since then, we have enrolled Lansky for Play Group (we also receive pictures from each day he attends!) He is almost beside himself with excitement to get in the truck each week and go off with his new friends! 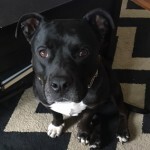 Tank is a very high-energy pooch who since a pup has hated the crate. Like many Boxers he needs a lot of exercise and a lot of structure to live a happy life. Unfortunately, while I was deployed Tank’s demeanor changed a bit. Although he was with my parents for the entire amount of time I was gone, when I returned I could tell something was different. He approached me differently at first (hair was raised and with a muffled growl but I’m sure it didn’t help that I arrived home late at night) but once he remembered who I was he was back to his old self. Little by little he began to get more aggressive with other dogs, strangers, and animals in the yard. I always assumed it was because he was protective of me and never viewed it as a bad thing – just hard to handle at times seeing as how strong of a dog he is. It did make it hard to take him to parks, ponds, or other public places dogs were allowed for fear that we would run into people or other dogs. Whenever we did run into someone or a dog, I would always lead him in the opposite direction to avoid the potential hazard all together. Later learning that this is not the right way to correct his behavior, I decided formal training was in his future. I had known Tiffany for a couple years, and knew the kind hearted person she was and how much she loved animals and was dedicated to her work. I knew that she would be the perfect fit for Tank! I received almost daily updates from K9 Kompanion while Tank was away. E-mails were exchanged with how his progress was within the program and often pictures or videos were attached. I liked how connected I felt with Tank although we weren't together. When I got Tank back on his last day of his 2 week training, he was already a completely different dog. Respectful, calm, and he actually goes into his crate on his own to relax! We continue to work with him every day for many hours to continue his training at home and he is responding wonderfully! He is a totally different dog on the leash and he no longer see’s other people or dogs as a threat – sometimes he doesn’t even give them a second glance! I am so happy with my decision to send him to K9 Kompanion Training and Boarding and will continue to use their services!! 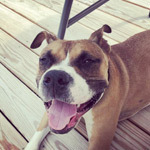 Thank you for making Tank a happier and healthier dog and for making his owner happy as well! Yoda was a very naughty boy. No manners. Totally out of control. He finally gave someone a black eye. Well, actually, it was the second time. He also slammed my mum against a wall once when she came to visit. That was when I decided I needed professional help for him. Today, because of K9 Kompanion, he isn't the same dog. He has learned to respect my livestock, he has learned to listen and to obey. He has gotten so good at the door I am now able to run my home as a Bed and Breakfast! We would recommend K9 Kompanion to anyone and everyone. I used to live in horror at his behavior. Now I nearly never feel horrified or ashamed. My sister used to call him Psycho. Now she hugs him and they snuggle on the couch. My dad, used to hate my Yoda, now they are buds. He has gotten so good I can and do even allow guests at my B&B to occasionally take him for a walk in the woods. I couldn't do that before. Yoda the Dodo Dog, has been reformed. It wouldn't have happened without K9 Kompanion, so we thank you so very much! 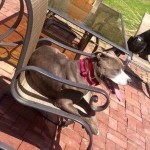 My Dog Nakita, was your average high energy pit bull. Because of this though she didn't have very many polite manners. She was a good girl, and I brought her everywhere I could, but a lot of people couldn't get past her jumping and excitable nature, and in turn it made a lot of people uncomfortable around her. She needed an "Off-switch" as Tiffany said and she definitely didn't have one. With all of the tools, and commands she taught her, Nakita is now a GOOD GIRL all around, and when I bring her to the race track or any events like it, she stays in command and people are constantly saying "What a good dog!" and I couldn't be any more pleased with what K9 Kompanion and Tiffany gave me. My 18-month old German Shepherd, Saoirse, loves her Play Group Day. She is very high energy and needs the mental and physical outlet that she gets with Tiffany’s Socialized and Structured Play Group. Dogs have great internal time clocks and Saoirse so looks forward to her special day. She even knows when “Monday” and her Play Group are right around the corner each week. Saoirse starts counting down the minutes on Sunday nights, asking me over and over again, "Is Tiffany coming to get me tomorrow???" "IS she???" "SHE won't forget ME, will SHE??" "I mean, she WILL NOT FORGET ME!!!???" Ha, that is a bit of a joke, but Saoirse really does have so much fun with Tiffany and her Pack. Tiffany can give Saoirse the necessary exercise and structure that I simply cannot give her with my work schedule. So, thank you, Tiffany for the fun and positive interaction that you give my pup! 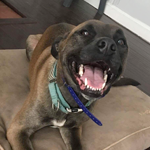 Before entering our pit mix Whitley into K9 Kompanion's board and train program she was a very insecure and reactive dog who would react negatively towards both dogs and people who were outside of her "circle of trust". After completing 4 weeks with Tiffany our beloved Whitley returned home a well mannered, respectful dog who was full of confidence! Aside from giving Whitley the confidence she needed Tiffany's program also gave us the proper handling tools necessary for us to be confident owners. Thanks to K9 Kompanion Whitley is now able to live up to her full potential! After moving to South Carolina, (the New England climate just was not for us) we are so happy to see our dog Zorro doing so well! Without K9 Kompanions training program, and the socialization of their Playgroups it would not have been possible for us. He is pleasant with all of the dogs and people he comes across now, and is quite a hit around here! We couldn't be any more grateful for K9 Kompanion! We had a great experience working with Tiffany and her staff. 2 of our female dogs were having a very hard time coexisting when my girlfriend and I moved in together. Constantly breaking up the girls from fighting was taking a toll on us and our relationship. Sending them to k9 Kompanion was the last hope. Sending the girls to Tiffany helped us understand why they were acting the way that they were. We were taught the tools to train the girls to coexist. We never understood why they acted the way that they did. Having it explained to us and shown how to treat it was very eye opening and has completely changed our lives with our pups. Thanks again for all the help! I should also mention that we were on a tight budget when we came to Tiffany. My girlfriend was starting her grooming business and I was in the process of purchasing new home. They worked with us on a great plan to get both our girls there and maximize the time there. 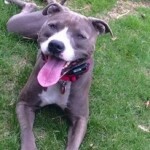 We sent our Staffordshire terrier, Stella, to Tiffany and the team for 2 weeks of training. She struggled with food aggression around other dogs and had no “off switch” around the house. Since returning home, our lives have all changed. Stella is now much more confident in the home, she does not bark when people walk by our house, she lays down calmly when we have company over and sleeps quietly in her crate at night. Stella used to become anxious around other dogs and disregard anything we would say. We have started reintroducing her to the other dogs in her life and she is much more confident and pays attention to what we are doing and saying to her. This is definitely a work in progress but we know if we stick with it, Stella will be happier and a better behaved dog. We cannot thank the entire K9 Kompanion team enough for giving us the road map for this transformation. 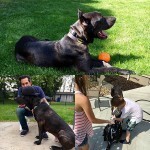 Our dog Diesel is home and doing awesome! He is such a good boy. Comparative to his prior issues, he is now so well mannered and is so gentle with our kids and patient. We couldn't have asked for a better trained dog for our family. Thank you so much Tiffany and the team for all you did! 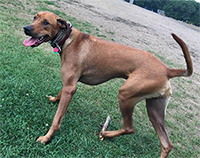 Copper has always been a smart and sweet dog, but like many Rhodesian Ridgebacks, his independent (and often times stubborn) nature made training a challenge. He required almost constant stimulation and attention in my 800-square foot apartment. His recall would depend on circumstance – birds, squirrels, other dogs, even joggers, would take precedent over my requests for him to ‘come’. He didn’t have an off switch and showed signs of separation anxiety when I would leave the room or devote attention to visitors. The K9 Kompanion training program gave Copper the structure that he needed to not feel anxious while doing “nothing” and to learn that “turning off” for periods of time each day is not only OK, but it’s expected of him. 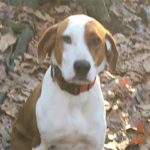 I think the most important benefit that Copper and I have received from the time spent by trainers Tiffany, Meaghen, and others is that Copper now has a clear understanding of what is being asked of him at any given time. And the fact that he fully understands what is required of him is the key to his feeling calm, safe and content. K9 Kompanion has shown me that the key to a happy dog is structure, and structure only comes from clear, consistent and fair requests. A tap from the e-collar or the use of a prong collar is now a clear message to Copper that he is being asked to do something. It is a communication tool and it helps me to remain consistent and fair. 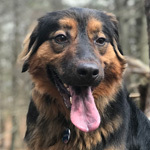 I am seeing firsthand the benefits of empowering my dog to fully understand what he is being asked to do – and I truly see something similar to pride from Copper when he gets it right. That pride and confidence translates to a dog that is (most of the time) delighted to follow my command and respond to my request. I was hesitant about the use of e-collars and prong collars before starting the K9 Kompanion training program, but I believe they allow me to communicate with my dog in the same way each time and that consistency is what makes the requests I make of my dog fair. Copper thrives in this environment of structure and I am so grateful to the K9 Kompanion team for showing me how to properly use these tools to find peace and balance in my relationship with my pup. It certainly requires dedication and patience on my part, even after Copper’s two weeks with K9 Kompanion, but he works hard to listen and respond in the way that he was taught, so my job as his owner is to work hard to stay consistent and keep these new boundaries clear. K9 Kompanion has given us the tools to work as a team, and our relationship is immensely stronger for it! 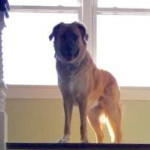 I adopted Zeke when he was four months old, after he’d been shipped up from Indiana and fostered here in Massachusetts. From the start, Zeke was anxious around strangers and men most of all. At the dog park and on the street, he’d bark, back away, and growl, all the time wagging his tail. One time, he got so scared he took off and ran home, across a busy street. I was worried that he’d do that again and get hit, or that he’d provoke a bad reaction from someone scared of his behavior, and he’d escalate. I hoped it would get better with time, and as he built confidence. But it only got worse. So, off to boot camp. He came home from K-9 Kompanian a changed dog! He is still is a little bit anxious from time to time but it's heartwarming to see him go up to strangers at the dog park and greet them, and even go in for the for the cuddle! He’s so much happier, I’m so grateful to Tiffany and her crew! There are no words to describe how thankful I am to Tiffany & her amazing team. Before K9 Kompanion stepped in, our two dogs, Misfit & Gizmo ruled our lives. 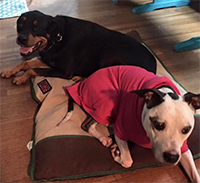 Both dogs were living with terrible anxiety, making it impossible to do anything with them. We couldn't walk them together, couldn't have friends over without incident, couldn't do a lot of really normal dog things because of how reactive each of them would get. Then K9 Kompanion changed all of that. After a three week stay with Tiffany & her crew, the dogs have done a complete 360. Now the pups can be walked together, friends can come & please as they go & greeting people/dogs is no longer impossible. Both dogs are so much calmer, making walks & outings a pleasurable experience instead of nerve wracking. The homework we received to continue the pups' training was explained to us during a two hour session simply, calmly & without making us feel stupid. The best part (besides having two happy pups) is seeing how much they care about our pups. From all the videos I received on a daily basis to the way Tiffany & Meghan said goodbye to our kids, it was clear they cared about Misfit & Gizmo. Thank you again K9 Kompanion for changing our lives! Charlie's sweet face and friendly attitude towards strangers saved him from the streets of Puerto Rico when we rescued him four years ago, but his tendency to guard food (which probably kept him alive when he was a puppy) got him into a lot of trouble this summer when he bit me... Hard. Desperate to ensure he never bit anyone ever again, I contacted K9 Kompanion for a board and train. Fast forward a few weeks, and Charlie is a changed pup. 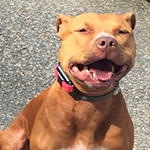 Tiffany and her team have transformed him into a much more calm, happy dog. He's even back to being comfortable and social with other dogs after being attacked by another dog at a doggy daycare a few years ago. Charlie now goes to K9 Kompanion play groups weekly, and we have the tools and techniques we need to keep him (and ourselves) safe and happy. So grateful to Tiffany and her team for helping us! 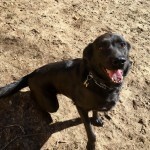 Our dog Cherokee is a sweet lab/pointer mix, but he came to us with some pretty sizeable dog aggression issues. We had thought we were making slow but steady progress since adopting him 6 months ago, but over the holidays, we had a major setback when he injured another dog in the family after feeling his personal space violated. My boyfriend and I decided it was time to seek professional help, and at the recommendation of Cherokee’s Rescue, we ended up in the hands of Tiffany and Meaghan at K9 Kompanion. From the beginning, Tiffany and Meaghan were extremely responsive to our inquiries and addressed all of our concerns about sending our pup away for a two-week board-and-train program. They sent us daily updates on Cherokee’s progress in their training program, and honestly, it was one of our daily highlights while he was away. The best part was watching how much progress he was making day-to-day and seeing first-hand the slow transformation he was making to become a calmer, less aggressive dog. Of course, we knew that training of Cherokee wasn’t going to be the whole solution to our problems. My boyfriend and I also needed to be trained on being better dog owners. When Tiffany and Meaghan brought Cherokee back, they went through a detailed training session to show us exactly how we should be incorporating more structure into Cherokee’s life so that he feels safe and less anxious. Even more, they’ve been incredibly responsive over email whenever we have new questions about how to further his progress with us. Before our experience with K9 Kompanion, I would have to avoid other dogs on our walks out of fear of Cherokee lunging or attacking them. But after his training program, he calmly walks at my side and barely notices other dogs as we past them! We’re hoping to slowly work up to play dates at the local dog park. The great thing is that K9 Kompanion has been and continues to be super responsive to our inquiries on how to make it happen. With their continued support, I have no doubt that we’ll get there eventually! and very responsive. I enthusiastically recommend them. We rescued Trixie when she was six months old, from the get go, she had a wanderlust and a LOT of energy. My neighbor couldn’t believe it when she saw her walking tightrope on our wooden fence one day. We were told by many to “watch out”. 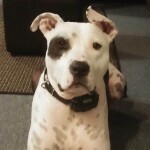 Trixie is so sweet and non-aggressive but absolutely owned by her nose and very disobedient when it came to recall. Much to my dismay, I soon realized that she could not walk off the leash. I am persistent though so I often would “try” to let her go, only to lose her for hours at a time and receive phone calls from individuals who found her and even the police department. Because Trixie is a hound, I was worried about her quality of life if she had to always be on the leash. On leash, she pulled and was not fun to walk at all. Eventually, someone suggested I try the Petfinder e-collar. I bought it, used it twice and realized I had no idea what I was doing. That was when I contacted Tiffany and Meaghan at K9 Kompanion. After sharing my woes, they felt that their week long training program was the right choice for Trixie. They were right. Trixie has been home for two weeks. 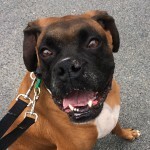 She is in wonderful shape, knows her basic commands and is fully off leash. On leash, she walks in a heel position. We have joined the pack and Trixie now has weekly playdates with her pals. I enjoy her much more and it is nice to see her happy and free as well as obedient! Our golden Bella and lab mix Nash were generally happy well behaved dogs, but had begun displaying concerning behavior that petstore and basic training was not working. Bella was becoming more and more insecure and anxious while Nash was getting leash aggressive and listening less and less. Our dog walker recommended Tiffany and Meaghan, and a year later we couldn’t be happier! We were initially concerned about using an e-collar and that our pups were who they were and we were going to have to live with their issues. 10 minutes into our first session Tiffany and Meaghan completely changed how we thought about both. 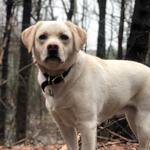 They took the time to explain how and why an e-collar works, how beneficial it can be for training or eliminating unwanted behaviors, like counter surfing and how useful it can be in an emergency. They also explained why the reasons behind our dogs behaviors and what we were (or weren’t) doing to help them. Showing us how to spot signs of Bella’s anxiousness how to correct/reassure her to help her become more confident. After just one week family and friends were already commenting on the difference in their behavior. 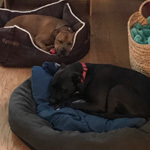 Unlike past trainings we had tried, we immediately knew we now had the tools and knowledge to help Bella and Nash be the amazing dogs they are. We have so much more confidence with them off-leash and are no longer concerned bringing them to family and friend’s houses or whether they’re just being nice when they say they don’t mind if the pups come. We couldn’t be happier or more grateful for what Tiffany and Meaghan have done for us and would recommend them to anyone who will listen! Loki’s cuteness only got him so far! I had come to a point with my Loki that I needed some help reeling in his guarding issues and overly teethy play, but I didn’t know where to turn! Loki being the youngest of my three dogs, regular training classes just weren’t cutting it as I didn’t have the time to devote the crash course of training that he desperately needed for his own sake, his sister’s and for mom (me) who he thought he could just walk all over! After chatting with Tiffany and Meaghan about the options I had for him (considering we are in a different state altogether) I was highly impressed with their knowledge, especially his breed! We decided on a two week board and train program for him. Not only was I extremely gracious for their trek to pick him up and drop him off, but I was extremely happy to receive the daily updates of pictures and videos as I missed my boy so much! Upon his return, loki excelled at his new found manners. It’s a continuous process with him, but the foundation they provided him with is incomparable! 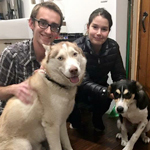 He came home just as happy and full of life as he was when he left, just with more manners a young husky should have! Tiffany and Meaghan have been extremely prompt with answering any questions I may have with lokis training, its awesome! Not only have Tiffany and Meaghan helped with my silly loki, but have actually recently boarded all 3 of my pups last minute for a weekend, and all 3 came home happy, tired and well taken care of! Highly recommend K9 Kompanion for their professionalism, communication, knowledge and reliability! My pups will definitely all be there again soon for some refresh and play! We began working with K9 Kompanion, in October of 2016. We adopted an 8 month old energetic Dutch Shepherd mix. From the beginning of the process we were met with true professionalism. I filled out the paperwork online and had a home visit with our soon to be newest member of the family that evening. We already had a Dutch Shepard mix that we had adopted two years prior and she was not happy at first with her new brother. K9 Kompanion spent time with my family two nights that week, working with us, getting to know myself, husband and two young sons. We were educated during that time with gentle recommendations on how to speak, guide and work with our soon to be, two high energy, not super friendly pups. K9 Kompanion showed us simple tricks for feeding and verbiage modification that have certainly proven to be beneficial. Our oldest pup is a different dog. She is patient, obedient, and not near as mouthy as she once was. 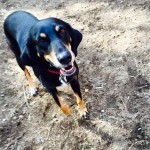 She is happier to be able to play with other dogs off leash at the park and on trail runs. Our newest pup has joined the family seamlessly, we couldn't be happier. We still today, send our now very polite, obedient and friendly pups to K9 Kompanion one day a week. For my very busy family of four, it is a good feeling knowing that the pups are picked up in the morning at our home, spending the day with their four legged friends, continuing their obedience training and getting a ton of love and fresh air with K9 Kompanion. 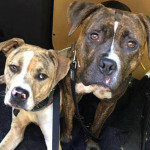 They are dropped off at our home fed, tired and tails wagging with joy. We can't thank K9 Kompanion enough for the support, patience and kindness that they have shown our family. I highly recommend their service! We cannot say enough about Tiffany, Meaghen and the K9 Kompanion team! 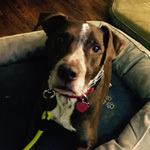 Steve's increasing anxiety and insecurities were making him an unhappy and stressed out dog-- not a safe situation in a house with 2 young kids. Tiffany was able to hone in and work him through his issues. After some time at board and train, Steve's new calm and self control are evident. He's a different dog! K9 Kompanion Training has given us all the tools (and so so so much support), to make Steve a happier, more secure member of our family! We are so grateful for our families experience with K9-Kompanion! Toby is a sweet 2 year old mini golden-doodle, but despite his stuffed animal looks, he was very food aggressive with other dogs. We made the decision to send Toby to K-9 Kompanion to work on his aggression and a few other issues, so we could have the tools to prevent him from hurting another dog or getting himself in a situation where he might get hurt. 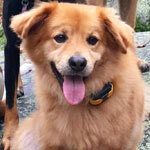 We had reservations about Toby going through the training program because despite his aggression, he has such a great personality that we love and didn’t want to lose! K-9 Kompanion worked with Toby for 3 weeks, and at the end of his training, he came home as a calm and happy boy, with the same personality we know and love! 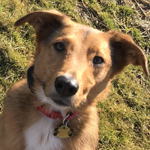 Since his training we have sent Toby to the play group once a week to maintain the structure he needs to continue in his training which has been great for everyone. We cannot thank Tiffany and Meaghan enough- they have been so supportive of us, and all of our questions, to ensure we maintain Toby’s new calm lifestyle! 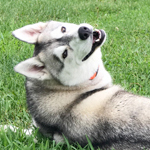 Our one year old Siberian husky Wyle started attending playgroup with K9 Kompanion late in the winter of 2017. We were referred to them by our local groomers after I had told them about the extremely negative experience we had with another provider of dog daycare and boarding. I immediately reached out to the owner Tiffany Brown via email and got a response right away! She and I spoke about what our needs were for Wyle and we arranged a home visit for an evaluation. She and her lead trainer Meaghan came to our home with two of their wonderful training dogs . We weren't sure how it would go because our girl is extremely submissive. However, it was a complete success! They took her back for playgroup that day. We have been so thrilled with the care and love Wyle receives with them. In addition to playgroup they boarded her while we went out of the country for a week. 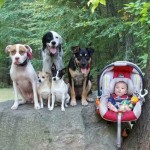 At that time they began off leash and basic command training with her. Another huge success! I was so afraid that I would never find someone who could and would Care for Wyle the way that we do. I have and will continue to recommend and refer them to anyone! If you had told me six months ago that our dog Chloe could be trusted off leash, I would have had a good laugh. Being a rescue with no prior training, she was all over the place and needed structured behavioral guidance. 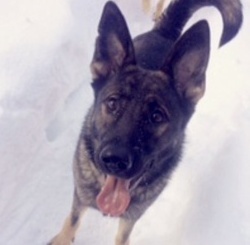 We could not be happier that, through the search for our second dog Nova, we found K9 Kompanion Training! By sending them to regular weekly play groups, not only do our furry kids get to associate with other dogs but they get the social and behavioral training they were in desperate need of. We are so impressed with Nova and Chloe’s off leash and listening skills, thanks to the hard work of K9 Kompanion Training. We would highly recommend their services to anyone looking for a dog training or boarding facility! 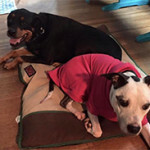 Rozcoe and Diezel went through a board and train program at K9 Kompanion Training for three weeks for off leash, obedience and leash reactivity because they would bark and lunge at other dogs when we walked them. They came back and are no longer barking and lunging, completely obedient dogs. It's only been a few months since they have been home and We actually aren't even using the e-collars anymore! The boys listen really well! We can feed them together without them, we Still use the prong collars for walks but we couldn't be any happier with their training success. 5. Live in the apartment, or ride in the car, with absolutely no whining. A month ago, my husband and I decided to make Artie guy a part of our family. We love him so much, but I don’t think either of us realized how much work he would be. I was completely overwhelmed at first and wondered if we had bitten off more than we could chew. He was a nervous nelly and wanted so badly to be friends with all the dogs, but he didn’t understand how to play with them safely. Enter K9 Kompanion!! They have taught us how to help ease Artie’s anxiety and help him be the very silly, lovable, & carefree pup that he deserves to be, complete with all the friends he could ever dream of! I hired K9 Kompanion upon referral from my trusted dog sitter and it’s one of the best things I ever did for my family and my dogs. I’ll admit, I was skeptical at first when Tiffany and Meaghen told me I’d have “remote controlled dogs,” but with a new baby and the stress and inappropriate behavior coming from one of my dogs, we knew we had to try something! 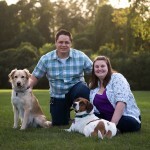 Tiffany and Meaghan gave us the tools and structure my dogs and family needed to be happy and live harmoniously. I’ve had people open their car window to tell me how impressed they are while I push my son in the stroller with my two dogs on either side of me all walking together. Now, over a year later, my dogs still understand their boundaries and what’s being asked of them so we can all enjoy each other whether it’s free time or time to stay in their place. I strongly recommend K9 Kompanion, it was well worth the investment for my family. Meaghen and Tiffany at K9 Kompanion are amazing! 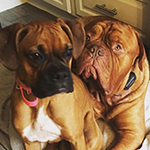 We sent our two dogs there, Mookie a 2 year old French Mastiff and Maddie Mae, a 7 month old boxer. Maddie went for basic obedience and manners, which we have noticed a significant improvement with her... she listens to us now!!! Mookie was more of a complex case. He became depressed when our other boxer passed away this past December. So we got him a companion, Maddie Mae, but his demeanor changed again. He became very protective and even aggressive at times. We were afraid to have people over, or even take him for a walk. However, all of that is changed now. He has met many strangers, been around kids, and other dogs. He is not aggressive AT ALL. He is the sweet, gentle giant that we all knew and loved. He is truly a different dog since coming home. We have our sweet boy back. We are able to take him for walks, to the dog park and even able to have people over again... without the fear of him being aggressive. I would highly recommend the ladies at K9Kompanion to anyone. They are so accommodating, answering my millions of questions, without getting irritated (I was definitely annoying at times with all my questions, but they were so kind and had so much patience). They sent use daily videos, pictures and updates.. which put our mind at ease when we were missing our babies for 2 weeks. And the final day, they came to our house and went over everything we had to do to continue the training at home.. they are so thorough!!! We honestly love and trust them so much, and so such significant improvement that I wouldn’t send my babies anywhere else. We already have them signed up for boarding when we go away in July (there’s a kennel 5 minutes from our house, but they are so amazing it’s worth taking them over 30 mins away). If anyone is considering training for your dogs, you’d be crazy to go anywhere else!!! Thanks again ladies, we are 100% satisfied with your I believe work!!! We want to thank K-9 Kompanion for allowing us to keep our dog, Lucy. Our family recently relocated to Boston, MA from Seattle, WA and our English Lab, Lucy, had a hard time adjusting. She was protective and not able to socialize with other dogs. We were not sure how to help her. The resulting frustration caused more stress on both Lucy and our family. K-9 Kompanion was able to help us each step of the way. This began by K-9 Kompanion’s ability to acknowledge the reason for her change in temperament and effectively educate our family. Meaghen and Tiffany were able to inform us on how we should be working with Lucy to correct her bad behavior. From our first meeting with K-9 Kompanion, we were put at ease as a thought-out and comprehensive plan was presented that outlined how we would work together. 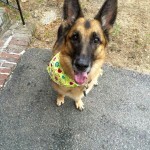 The first step was having Lucy attend the 2-week course at K-9 Kompanion where her problems were isolated and corrected. Lucy responded quickly to the training and the daily updates were invaluable to see the progress. 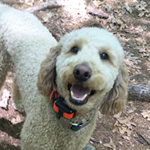 The follow-up and home training restored both our confidence and ability to maintain Lucy’s training. We couldn’t be happier together. Thank you again to Meaghen & Tiffany! Copyright © 2019 K9 Kompanion Training. All Rights Reserved.